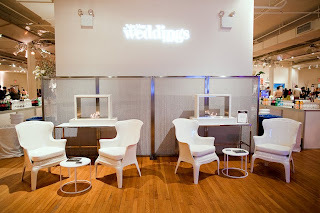 Last night we had the pleasure of mingling with over 600 of New York City's chicest brides at the New York Wedding event! Held at the Metropolitan Pavilion in Chelsea, the event showcased the city's premier wedding vendors, including some of our favorite clients. 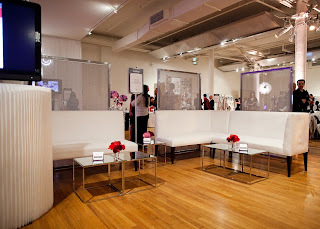 As an event sponsor, Taylor Creative provided two fabulous seating areas at the center of the space, in addition to a 24' by 12' bar and a scattering of our gorgeous Glass Highboys. Brides-to-be enjoyed a spot to sit, chat and compare notes on caterers, planners and of course, amazing rental options. The night's biggest draw was the pair of crackling fireplaces we displayed on our Chrome Nesting Tables. Situated against a wall of Shimmer Frames, these scene-stealers were the center of attention, providing brides with a new vision for their weddings as well as the perfect backdrop for an impromptu photo-op! See the start to finish event photos below - from the beginnings of load in to the finished product. The amazing final shots are courtesy of one of our favorite photographers, Roey Yohai! 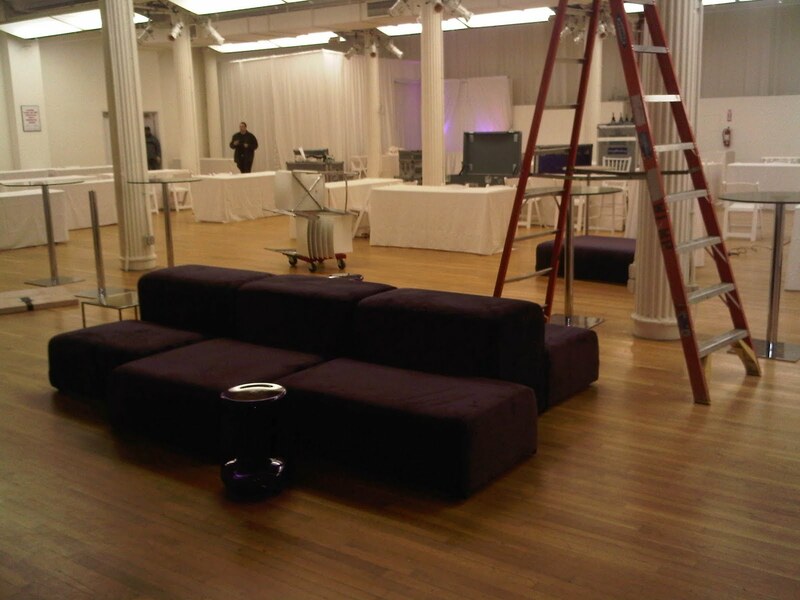 Behind the Scenes: The new purple Lounge Modular collection and Boheme Stools are some of the first pieces to be placed at the event. 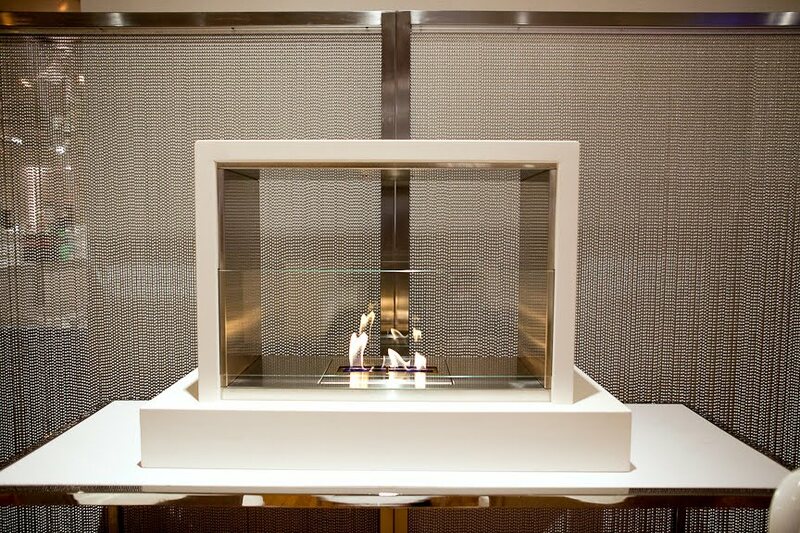 The Transformation: Later that night the collection brings a rich burst of color to the show floor. 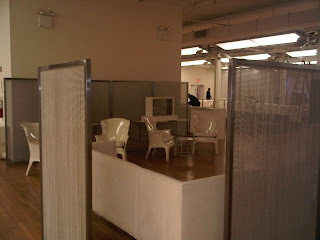 Behind the Scenes: Our white Social Banquettes and Tyler Chairs create an intimate seating area. In the background, you can see our amazing delivery team setting up the rest of our pieces! 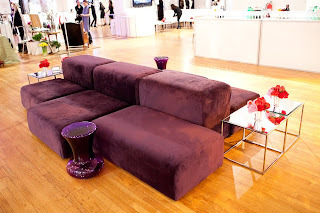 The Transformation: While the collection may have looked stark by the light of day, at night the luxurious ultra-suede banquettes look stunning paired with our Reflection Side Tables.